Spring has arrived, and that means it's time to get back to yard work. But, before you put your outdoor power tools back into service, there are a few things you need to do to prepare them for another season. Follow these tips to ensure your lawn mower, trimmers, chain saw and other outdoor power tools run well this year and for many years to come. If you didn't give your tools a thorough cleaning before you stored them for the winter, now's the time to do it. 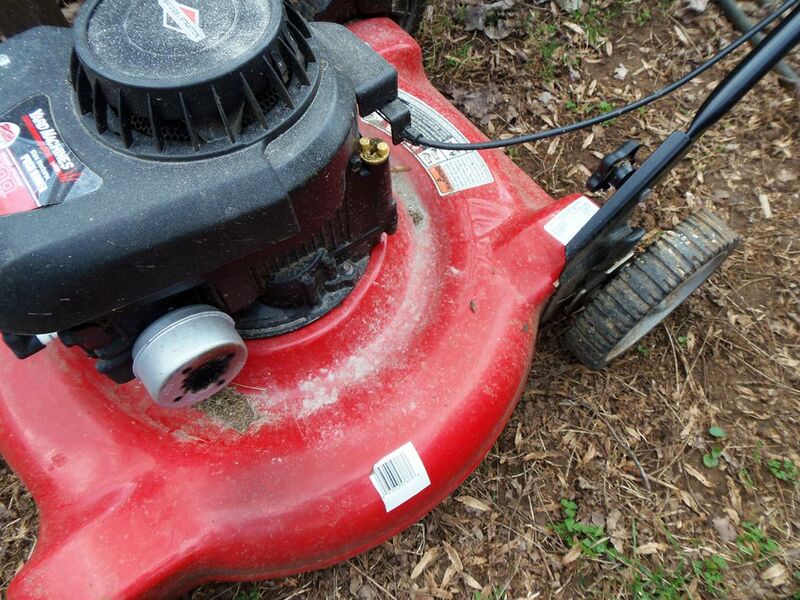 Remove any grass and debris from your mower deck and trimmers. Then, use a wire brush to eliminate any surface rust on unpainted parts. Save time by treating the rust with vinegar first. Keep all of your gas-powered tools starting well and running well by inspecting spark plugs at the beginning of each season. Depending on the condition of each plug, it may need to be cleaned, adjusted or replaced. Briggs & Stratton has a great tutorial to take you through the process. Inspect all air filters for dirt and damage. Then, clean or replace them as needed. There are different filter types, and each has its own maintenance requirements. Keep the cutting edge of your tools sharp, so they continue to work well. Lawn mower blades and chainsaw chains can often be sharpened many times before they need to be replaced. Don't forget to check the line on your weed eater, too. It may also need to be replaced. Check all the screws, nuts and bolts on your tools, and tighten any that are loose, so they don't fall off or cause a mechanical failure down the road. Lubricate all the moving parts on your tools. This includes, wheels, axles, bearings, hinges and anything else that will be subject to friction. Drain the oil from your tools, and replace it with fresh oil. Be sure to use the type recommended by the manufacturer. Tip: Buy an extra bottle of oil to keep on hand for top offs throughout the season. Test the batteries in all of your battery-powered tools, and recharge/replace them as needed. Top off the tanks of your gas-powered tools. If you added fuel stabilizer when you stored them, that should be all it takes to get them up and running. If you missed this step, you may need to add a fuel injector cleaner to get them running smoothly again. Fire up your tools, and allow them to run for a minute before you use them. This will give the oil time to circulate. Important! Always follow the maintenance tips and operation guidelines outlined in the owner's manuals. Failing to do so could cause damage to your tools and void their warranties.